Who Needs The Sorting Hat? …I’d guess it’s kind of intuitive, but now we can point to Science! as we divide our fellow Americans into their respective Hogwarts houses. …a forthcoming study from the journal PS: Political Science and Politicsmakes a better case for how lessons learned from fiction can influence people’s political preferences. The researcher Diana Mutz, a professor of political science at the University of Pennsylvania, found that Harry Potter book readers are actually more inclined to dislike Trump. This was the case even after Mutz controlled for variables such as age, education, gender, party identification, evangelical identification, and ideology. But it seems less specious to argue that the bestselling book series of all time could instill values that affected how its readers—especially its younger fans—now think about the world. 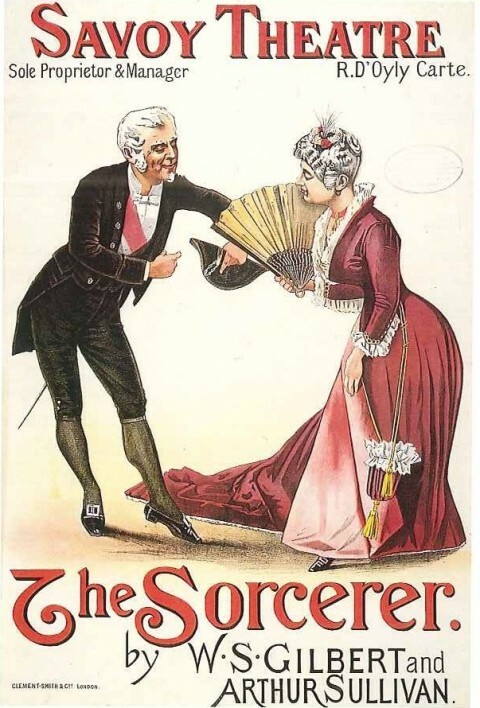 Image: poster for a revival of Gilbert and Sullivan’s The Sorcerer, 1884.